This Schedule B (Specifications) (Can/UK/Aus) is included in editable Word format that can be customized in Word or by using the included Wizard software. How do you write a Schedule B (Specifications) (Can/UK/Aus) document? 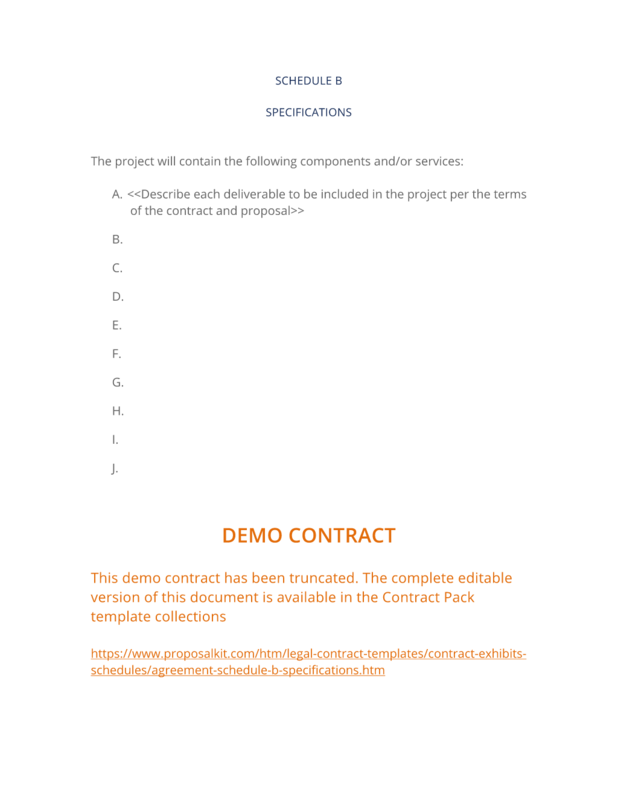 The complete Schedule B (Specifications) (Can/UK/Aus) - with the actual formatting and layout - is available in this Contract Pack.